Student Board of Advisors — Blue & Gold Ventures, Inc.
Evan is a senior in the College of Business majoring in Marketing and Operations & Supply Chain Management. He serves as Chief Operating Officer of Blue & Gold Ventures. His past experiences include a Global Supply Chain internship at Rockwell Automation and a GIS internship at Harley-Davidson Motor Company. 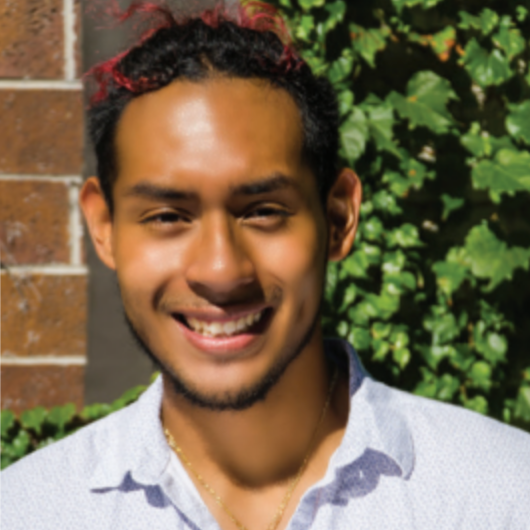 Andres is a junior in the college of communications majoring in Digital Media and minoring in Advertising. He is the Chief Marketing Officer for Blue & Gold Ventures, a program helping unite innovators. He also serves as the Photographer/Videographer for B&G. Jack is a senior in the College of Business majoring in Finance and Economics with a minor in Biological Sciences. He is the founder of Project Acesco, a nonprofit that distributes hygiene products to economically disadvantaged Milwaukee residents. He also serves as the Student Director of Eagle Incubator.